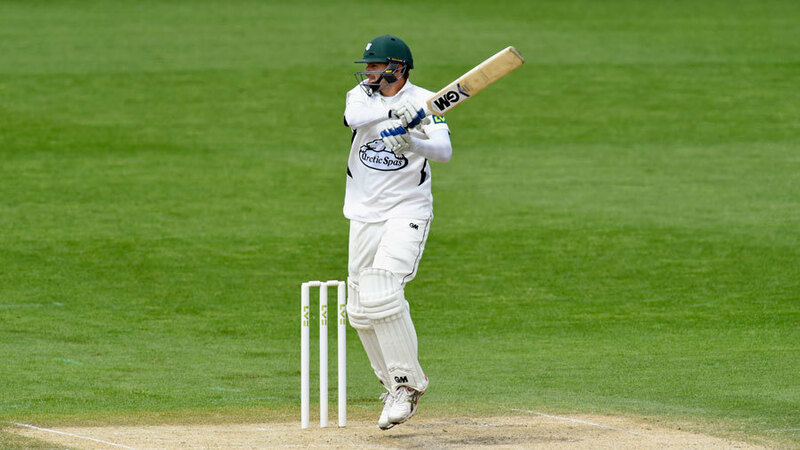 Alex Gidman, the former Gloucestershire captain who moved to Worcestershire in 2015, has been forced to retire at the age of 34 due to a finger injury he suffered in the latter stages of his first season at New Road. After picking up the injury in the penultimate week of the season, ahead of a match against Durham at Chester-le-Street, he underwent joint-replacement surgery when he became unable to flex the joint. At the time a recovery period of 12 weeks was expected and Gidman was confident of being fit for the 2016 season, but after consultation with specialist Mike Hayton it has been decided he will not be able to reach the fitness levels to play professionally. "It is with great sadness that I have no choice but to retire from the sport that has given me so much," he said. "I have been really lucky to have played for so long and I have so many great memories. "Obviously my many years at Gloucestershire included the majority of my success but I have really enjoyed the last 18 months meeting some fantastic people at Worcestershire. I can't thank the many coaches, team-mates and of course supporters enough. I'm excited about the future, but will miss the game. I wish all the players I have played with the best of luck for the 2016 season and beyond." Gidman had a disappointing first season at Worcestershire - scoring 397 runs in 12 Championship matches and made one appearance in both the T20 Blast and Royal London Cup - although missed a month of first-team cricket in July after suffering concussion when he was struck by a bouncer against Nottinghamshire. Overall he finishes with 11,622 first-class runs, 4473 in one-day cricket and 1448 in T20 alongside 103 first-class wickets and 71 in List A. His most prolific first-class season came in 2014 - his last with Gloucestershire - where he scored 1278 runs at 45.64 including his career-best 264, which came the day before he confirmed his move to Worcestershire. He reached as far as England A (and Lions) level with tours to the UAE and Sri Lanka in 2004-05 then Bangladesh in 2006-07 - on the back of a domestic season where he scored more than 1200 first-class runs - and played a match against West Indies in 2007 when the Lions opening attack was James Anderson and Stuart Broad. He was also appointed captain of England A for the tour of India in 2003-04, but was forced to withdraw before the tour with a hand injury.